ZANTOS Interiors & Exteriors, ‘by Ernst Jan Zantingh’ is an international interior design company which designs spaces to perfectly fit the way you live, work and play. Based in the South of France and The Netherlands, ZANTOS specialises in the interior design and decoration, renovation, and building of both residential and commercial projects. From luxury villas, family homes and apartments to offices, hotels, restaurants, and luxury yachts, ZANTOS ensures projects are delivered to client specifications, on time and on budget. 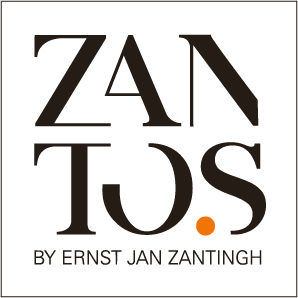 ZANTOS was founded in 2000 by Ernst Jan Zantingh, the company’s Creative Managing Director. With 20 years of experience in building management, design, furnishing and decoration, Ernst brings a unique sophistication to his projects in Amsterdam, London, Dubai, Spain, Germany, Switzerland, Belgium, Monaco, and the French Riviera. ZANTOS began by designing large corporate offices before becoming a leading light in the design and decoration of the interiors and exteriors of restaurants, hotels, villas and apartments. ZANTOS’ ‘total concept’ approach walks clients through the design journey from concept to completion. From initial conceptual vision, throughout the design and building construction, to final completion, the project tasks are linked seamlessly to make clients’ dream designs become reality. ZANTOS has a strong track record in delivering large and small-scale projects. From home restyling and luxury yacht interior makeovers to complete new builds for professional businesses and private clients, ZANTOS achieves stunning results time and time again. Through an integral approach, all facets of construction, building management, interior and exterior design and decoration are expertly managed. This allows ZANTOS to create unique designs for clients through the comfort of intimacy and refinement. ZANTOS creates spaces to last by using warm and inviting neutral colour palettes (greys, beiges etc. ), natural materials (such as wood, cork etc.) and tactility in materials as the design’s foundation and these are carried throughout the property. Interest is added by accenting with a colour theme through furnishings, textiles and decoration which can evolve and change with the seasons of life. The fluidity of colour and decoration visually connects spaces throughout the interior rooms and creates continuity, promoting a sense of serenity and comfort throughout the interior and exterior. We describe this technique as “The Red Line’. All tailor-made designs, specialising in lighting and furnishings, are created with a masterful attention to detail. Initial meetings give us a complete understanding of our client’s ideas, desires, personal requirements and budget. Preliminary contracts are established at this stage and flexible payment options are explored. We create a roadmap to achieve our client’s desires within budget. By creating a plan and 3D image of the site/property, and a detailed layout of the interior and exterior design (including the required building materials, furnishing, decoration considerations etc.) we provide a solid foundation on which to deliver each project. The plans are presented to the client for agreement, the final contract is sealed and budget agreed. Building begins after detailed drawings are finalised. ZANTOS oversees and manages all project building phases. All finishing touches are added in consultation with our clients in order to deliver a space tailored to their needs and desires. ZANTOS works closely with business partners based on individual project requirements. We develop strong working relationships with our partners – from professional contractors, consultants, architects and landscape designers to building providers, and furniture and decoration suppliers.